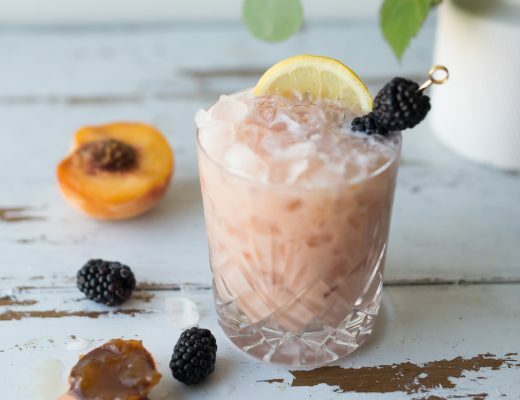 When you think of brunch drinks, of course there are mimosas (bottomless being the best ones) and Bloody Mary’s, but my favorite brunch drink that has me giddy when I find them on a brunch menu are Ramos Gin Fizzes! 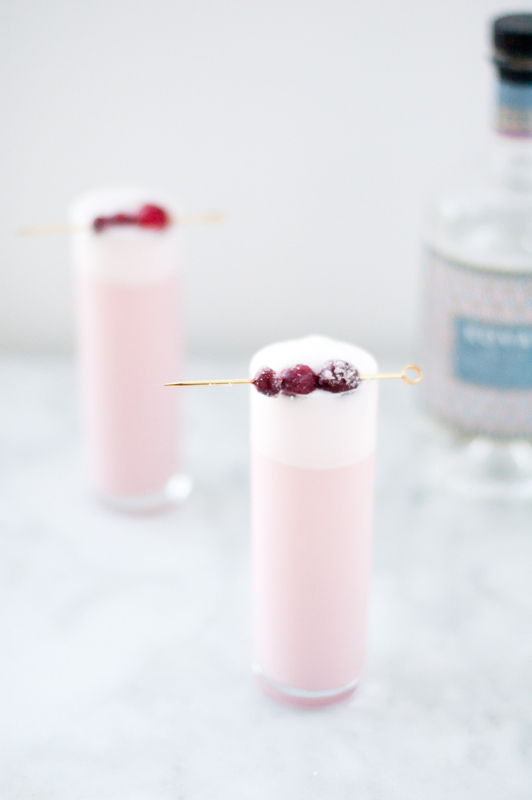 If you have never had a Ramos Gin Fizz before, you are in for a real treat! It is a very indulgent drink, but I am suggesting paring it with brunch, and brunch is meant to be indulgent. Go big, or go home! 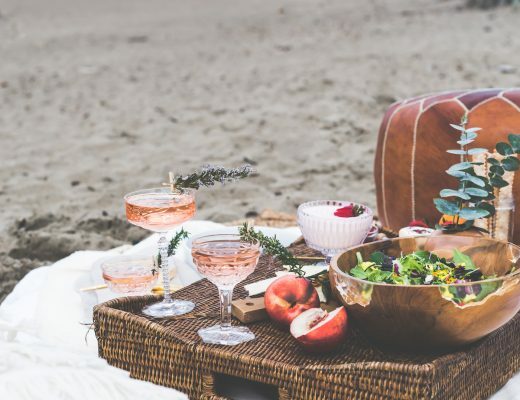 Fizzes are a very classic style of drink. Citrus, usually in the form of lemon, paired with a booze (traditionally gin), a bit of sugar to balance out the acidity and tartness from the citrus, and then topped with soda water. Pretty simple, but pretty delicious! 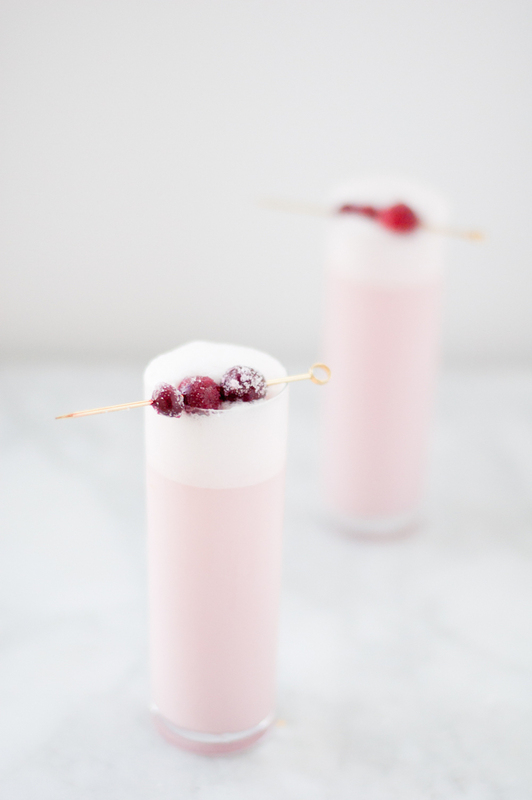 The Ramos Gin Fizz takes this classic drink to the next level (literally, look at that foam!). 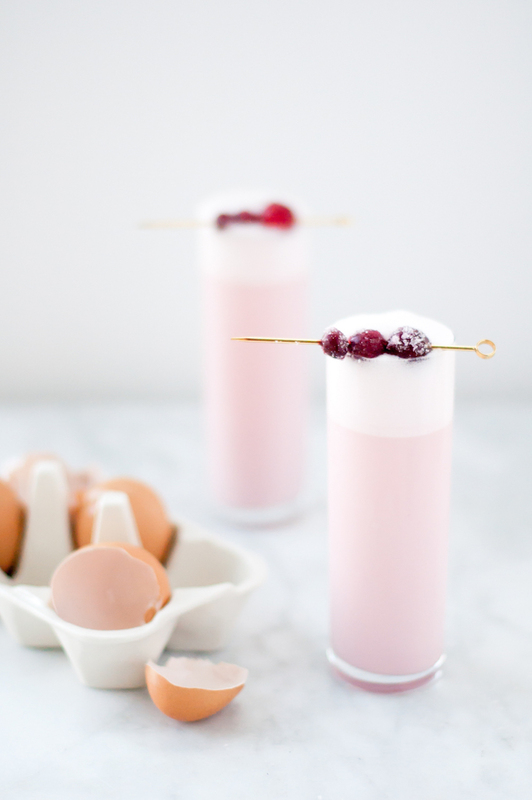 You have your basic components of a fizz citrus, booze (of course gin as the name implies), sugar, and soda water with the addition of two transformative ingredients: cream and egg white. It’s an unlikely pairing- citrus and cream in a drink, but they marry perfectly together here! 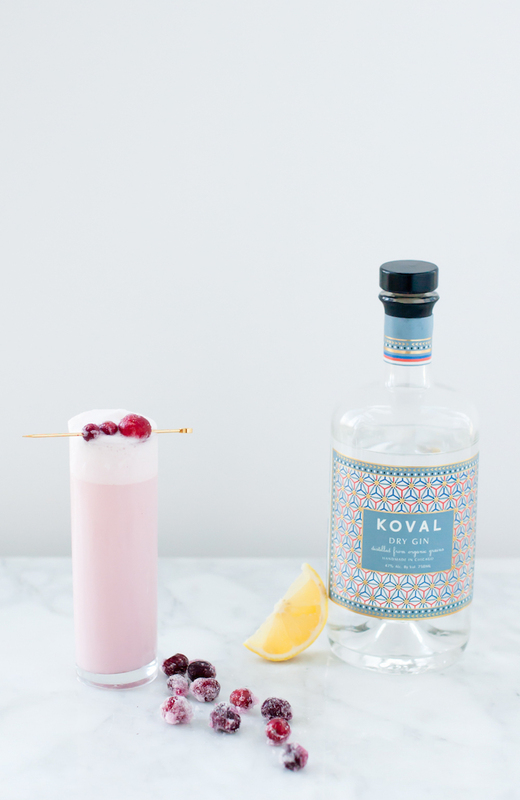 This cocktail does take a bit of time to make, well, rather to shake. 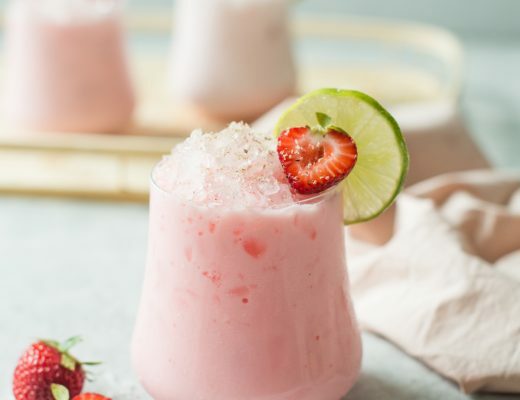 It is a bit of a work out that rewards you with a creamy, delicious out-of-this-world drink! You have to shake a good 5 minutes, no cheating! Switch hands a few times if you must or take a break, but shaking it for the full 5 minutes will yield a creamy, frothy tipple like no other you have had before! The extra time allows a lot of air bubbles to form causing the drink to expand and become nice light and fluffy despite its intense richness. It was invented in New Orleans like many a classic drink by Henry C. Ramos. It was said he employed a whole slew of bartenders just to make his name sake drink. That way, with the demand of the drink at the time of its creation, there was not a long wait time for patrons because the average shake time for the drink then was, get this, 12 MINUTES! Yikes. Those bartenders and their hands were committed to the cause! 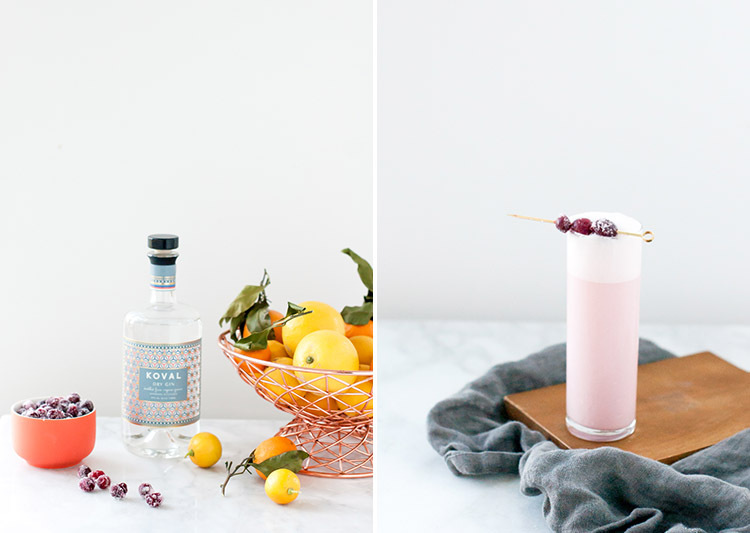 I have a little seasonal twist today for you the fizz: The Cranberry Meyer Lemon Gin Fizz. Tart cranberries are abound ready to be made into sauce or mixed into stuffing. I instead turned them into a delicious syrup that tones down their tartness yet still maintains their beautiful flavors. 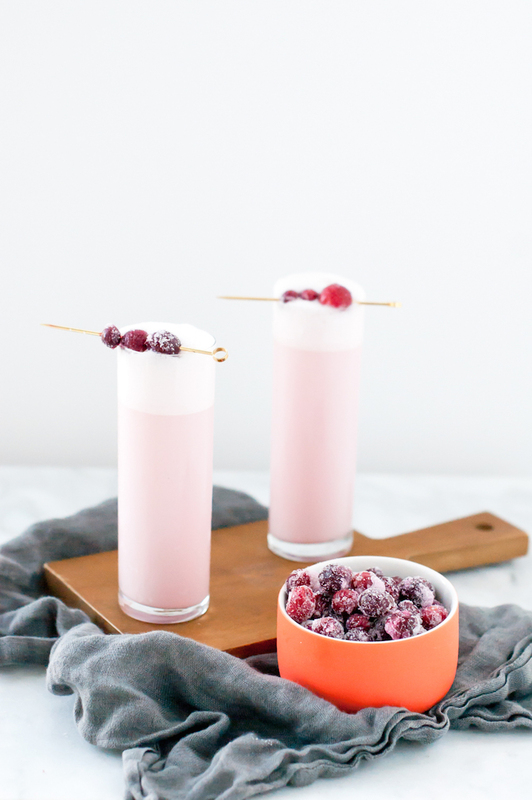 In place of the usual sugar or simple syrup in the recipe, I added in the cranberry simple syrup that not only adds a subtle sweet, tart flavor it turns it this stunning shade of pink! Meyer lemons are just getting into their season here in California. Luckily my friend Kelly has a beautiful Meyer lemon tree in her yard and graciously gives me some to make into treats and cocktails often! Meyers are a bit more sweet with some orange notes then the standard lemon, which pairs well with the orange blossom water here. I used Koval Dry Gin in this concoction. It is a very clean gin, with subtle juniper flavor along with some floral and citrus notes. It mixes into the Ramos Gin Fizz seamlessly! Add all ingredients except for soda water (unless you want a big mess) into a shaker cup with out ice. Dry shake for 30 seconds. Add ice and shake, shake shake and shake some more! After about 5 minutes (trust me!) strain into a glass. Top with soda water. 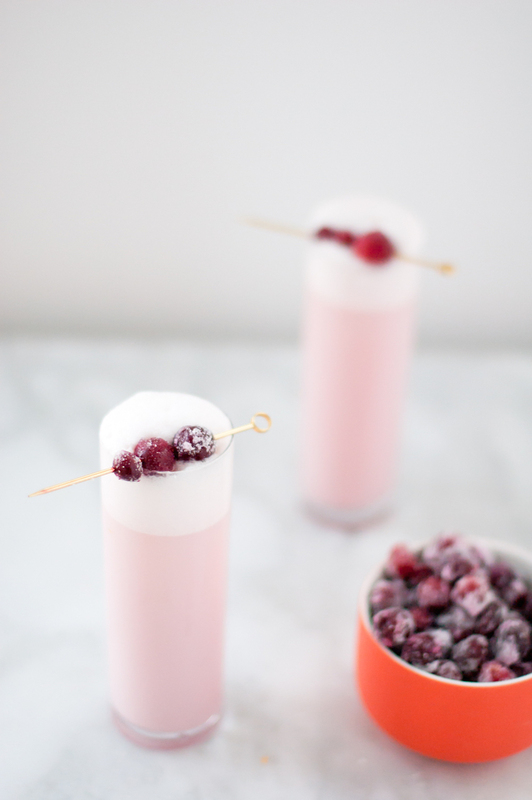 Garnish with sugar cranberries. Enjoy the fruits of your labor! Add all ingredients into a sauce pan and bring to a boil. Turn to medium and let simmer for 5 minutes. You want the cranberries to pop and split to release their flavors. Take off the stove and let cool. Strain the mixture into a sealed container and place in the fridge for up to a month. Add 1 cup sugar, 1 cup water, and cranberries into a sauce pan. Bring to boil and immediately take off stove. You want the cranberries to be whole and not split. Let set for 5 minutes. Take 1/2 cup sugar and add to a plate. Roll the cranberries in sugar and set on separate plate or tray and let dry before using. This is such a beautiful cocktail! I love the sugared cranberry garnish too! What a beautiful cocktail! This is perfect for fall!